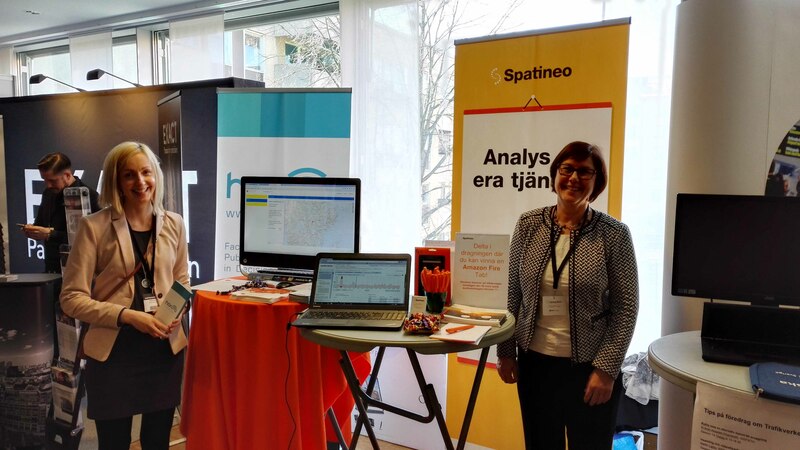 Spatineo attended the Swedish Kartdagar (Map Days) conference that was held at the end of March in a beautiful city of Örebro. Topics such as Open data, Geospatial Information and Smart Building were discussed both in the presentations and on the exhibition. Anders Skog from Swedish Standards Institute asked in his presentation whether WMS is the right way to distribute geospatial information? Web maps must be easy to read, even when they are created by integrating data from several different WMS services. How to harmonize the visualisation of a web map?. His recommendation was to use SLD (Styled Layer Descriptor) enabled WMS. A project between the national mapping and cadastral agency Lantmäteriet, Swedish Transport Administration, the Swedish Armed Forces, Swedish Maritime Administration, Geological Survey of Sweden, City of Malmö and Stockholm County Council is going on to develop basic cartographic guidelines of co-presentation of geospatial data. Anders Skog also emphasized the demand of availability and stability of Web Map Services when national web maps are based on them. Katrin Falk from Lantmäteriet and Birgitta Olson from Swedish Environmental Protection Agency asked from the audience why they are not using spatial web services. A lot of spatial web services exist and they provide easy access to open geospatial data. Where are the innovations? Intelligent transportation systems and services are based on fluent flow of information between actors. The company HERE and the transport agencies from Sweden, Finland and Norway are testing a continuous flow of data from the road authorities to a map provider and to people who are using the data in different applications. How the standardized format and way how the data is delivered enable almost real time experience for the users. David Boman presented statistics how the use of open data of Lantmäteriet has increased and what benefits the users of open data have achieved. Improved efficiency, better quality and better information for decision making are the most important benefits. Elisabet Argus from Bonacordi AB and Allan Almqvist from city of Malmö gave an impressive presentation about Smart Built Environment. 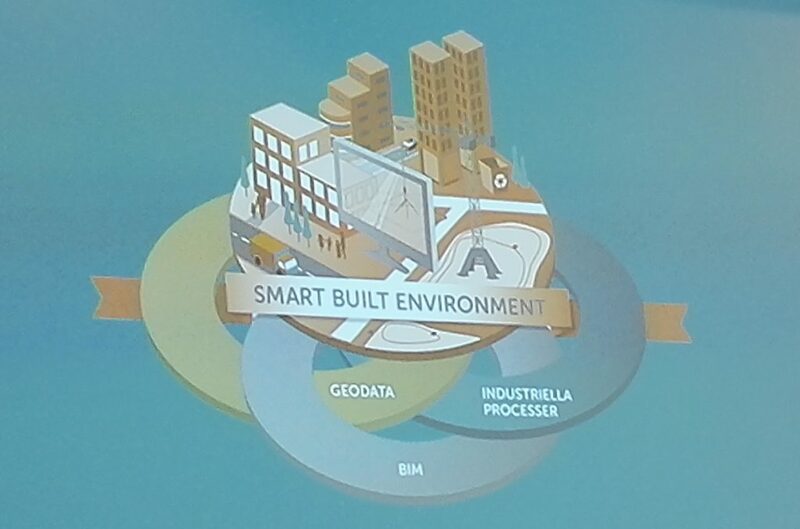 One of the strategic innovation programs in Sweden is Smart Built Environment. The whole process from master planning to real estate formation, building information modelling (BIM), building permission, building and maintenance should be based on 3D information so that all information can be integrated and are accessible to all actors. The goal is to decrease the negative impacts of new construction and renovation on environment by 40%, decrease the time from planning to a ready made project by 33% as well as decrease the building costs by 33%.